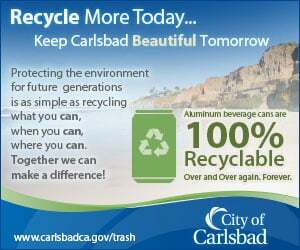 CARLSBAD — The City Council received an update on the San Onofre Nuclear Generating Station during the Oct. 17 meeting at City Hall and also approved a letter to Rep. Darrell Issa (R-Vista) to encourage determining a permanent site for nuclear waste storage and incorporate a more specific timeline. Jason Haber, Carlsbad assistant city manager, said adding specific timelines to the letter could be counterproductive, but suggested using general wording to request a permanent site for spent fuel and recommend and encourage Congress to incorporate a more specific timeline. Julia Chunn-Heer, policy manager for the Surfrider Foundation, asked the council to include language in its letter to encourage removing spent fuel out of SONGS and jeopardizing the coastline. Chunn-Heer also said a final resting storage site is necessary and urged the city to look at the issue from a national level. Mandy Sackett, policy coordinator for the Surfrider Foundation, said the group is advocating for spent nuclear fuel to be transferred safely from SONGS. She said Southern California Edison now has 3.6 million pounds of spent fuel at SONGS within 100 feet of the beach. James Madison, director and chief nuclear officer technical advisor at SONGS, updated the council on progress by Southern California Edison, owner of the retired nuclear power plant. He said decommissioning has a 60-year timeline and once permits are in place, the plant will be demolished. Currently, SONGS is in the midst of obtaining California Environmental Quality Act permits. As for the spent fuel, it is being reorganized. He said one third of the spent fuel is in dry storage and the remainder in the pools. The plan is to transfer the fuel in the pools to dry storage by mid-2019. Currently, there are 51 massive canisters on the independent spent fuel storage installation pad, and an additional 73 canisters in a horizontal system for storage. SONGS is expanding the facility to include vertical storage with highly reinforced concrete. Madison said there are 21 spent fuel canister ready for transport with a total of 35 set to be ready by 2019, 67 more in 2020 and the remaining 21 by 2030. The current long-term strategy, he added, is to transfer spent fuel from wet pools to dry storage, look at repository or consolidated interim storage, such as a facility like Yucca Mountain in Nevada, and transportation of the fuel including using railroads.